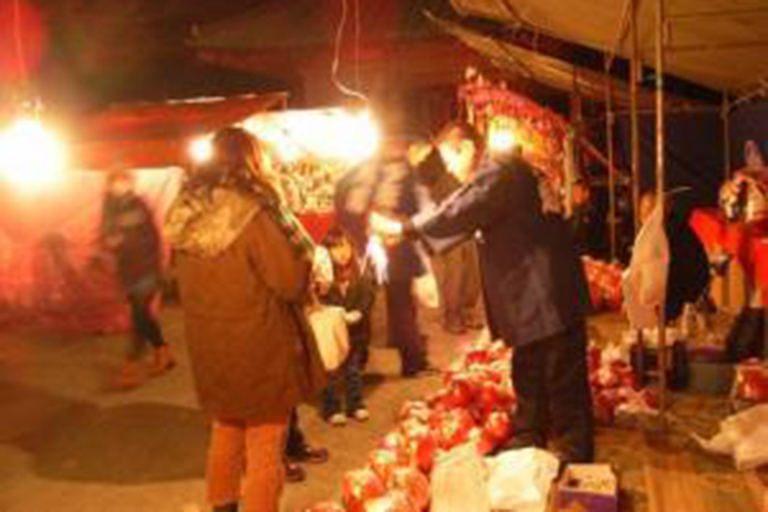 The customary year-end market held at Emmei Temple on the 28th of December. 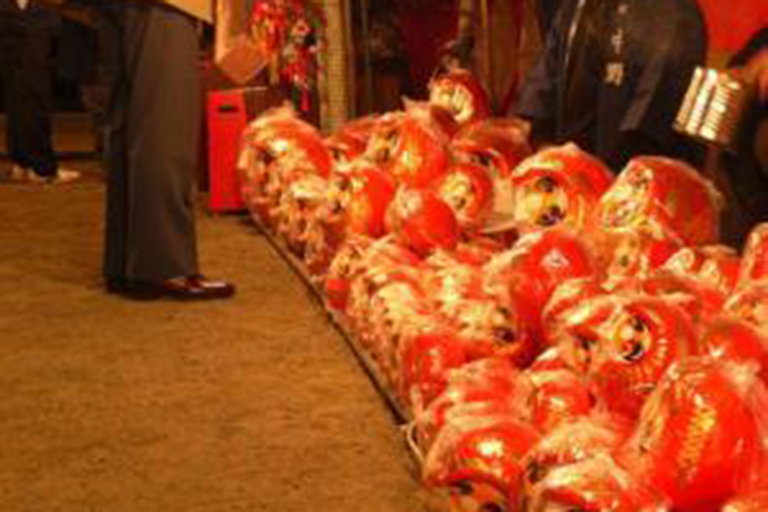 Papier mache daruma dolls of all sizes, big and small, will be lined up in booths. 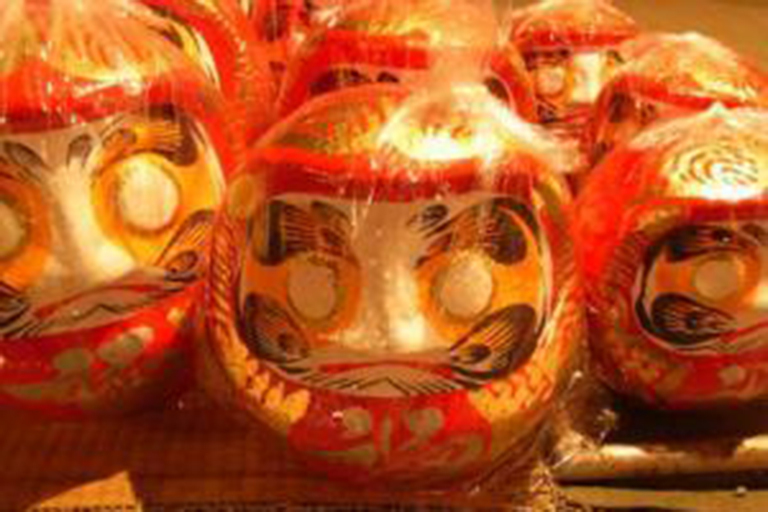 When customers come and buy the lucky daruma talismans ‘Tamashi-ire’ (lit: spirit insertion) is performed and the sound of a flint stone can be heard as sparks fly. 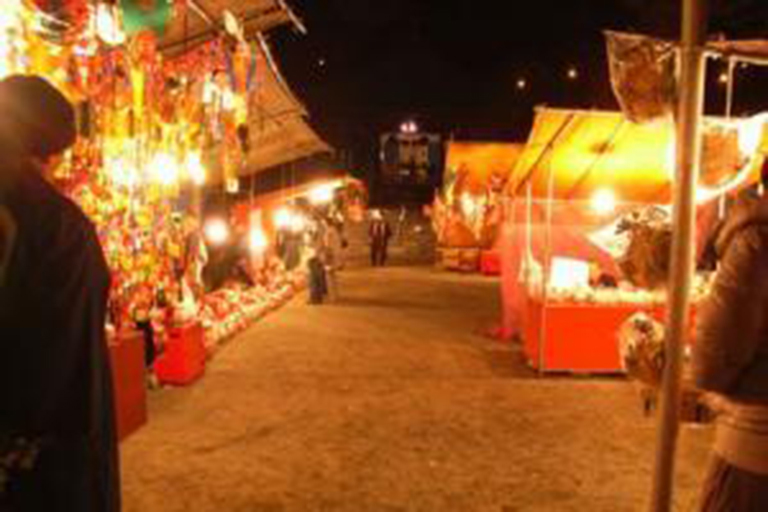 It is truly a blessing to encounter such old-fashioned winter scenes that wrap up the year with prayers for a new year in good health and safety for everyone’s families.